Surgery, whether essential or elective, is never a pleasant experience.48 million surgeries are performed in the U.S. each year. Whether the procedure is a simple matter of routine or a major and complicated one, its success will be affected by how the recovery proceeds. A patient will be given detailed instructions on what needs to be done during the recovery period and the precautions that need to be taken. Rest and medication are always the most important among these. In addition, there are some therapies that can help in speeding up the recovery process and reducing the pain and discomfort that are often a part of surgical recovery. Massage is one of the most effective among recovery therapies available. If the patient’s doctor approves the use of massage therapy as part of the recovery process, there could be a lot of benefits to it. According to the American Massage Therapy Association, postoperative pain can last for a long time. Research shows that postoperative pain that lasts for 2 or 3 months is responsible for 25% of cases of chronic pain conditions.In addition to the pain, some surgical procedures may require patients to use new or modified ways of movements during the recovery stage or in some cases, even permanently. This can lead to a disruption in the way the joints and muscles work and move, resulting in aches and pains which are not directly related to the surgery. If not treated properly this could lead to long-term dysfunction. Surgery causes internal tissue damage and breakdown. The body takes time to repair this. Massage is known to help facilitate the repair and recovery. In addition to the physical issues, surgery can cause mental and emotional stress that lasts long after the procedure is over. If left untreated, this can affect the pace and completeness of the recovery. Massage is the best way of dealing with these and other post operative issues. Instead of using more medication, even if prescribed by the doctor, massage stimulates the body’s own systems to fight the damage that has occurred and by doing so, achieves a more natural and complete form of post operative recovery. The need for physical rehabilitation that is often a part of recovery, is also often reduced. There are different types of massage therapies available. All of them have their own benefits.  One of the most effective of these, especially when it comes to surgery and injury recovery, is Thai massage. Having evolved over thousands of years from the ancient forms of Indian medicine, it has proven itself to be a comprehensive and holistic form of therapy that treats the body with respect and stimulates it to repair itself and recover from injury in the most natural manner. If you have had a surgery or planning to have one, ask your surgeon about making Thai massage, a part of the recovery process. The benefits and comforts it offers are many. Of course, for the massage to be completely safe and as effective as possible, it should be done only by a professional licensed massage therapist at a proper massage spa. Be sure to inform the therapist about the surgery you are recovering from so that she can modify the massage accordingly.